Beautiful butterflies adorn any room! 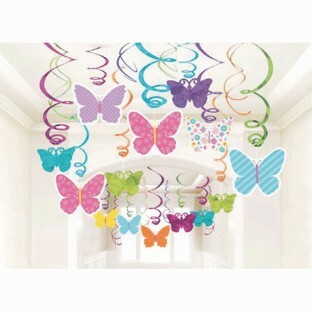 Colorful, lightweight butterfly decorations are easy to hang and take down. Contains 14 double swirls; 8 swirls with 7” paper cutouts and 6 swirls with 5” foil cutouts in assorted butterfly colors and patterns.